Now that the iPhone 5S is available, many are wondering whether this issue has been fixed. Fortunately, there are no reports of the Space Gray, Silver, or Gold iPhone 5S’s being scuffed from the factory. This was a quality control issue in the factory which was largely addressed after the initial iPhone 5 shipments. After receiving a lot of returns, it looks like Apple made sure this quality control problem wouldn’t come up for the 5S. 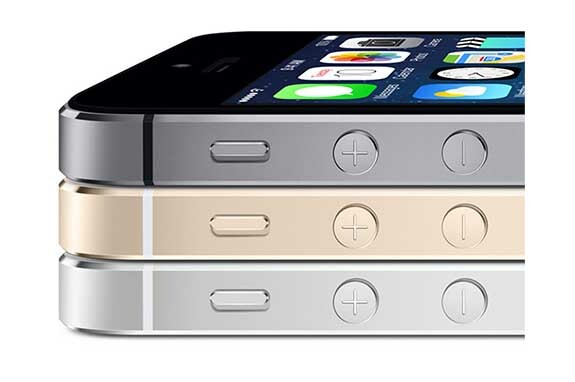 How does the iPhone 5S measure up to the iPhone 5 in terms of durability? While it doesn’t look like the 5S is any more resistant to scratches than the white iPhone 5, scratch tests show the new Space Gray and Gold colors hide scratches much better than on the black/slate iPhone 5. It appears the color of the metal is the same both on, and below, the surface of each color of 5S. This means that if you scratch your phone, it will be less obvious than it was on the black iPhone 5. However, scuffs and scratches will still be visible, especially in direct light. Take care not to expose your phone’s surface to glass, metal, stone, or sand. 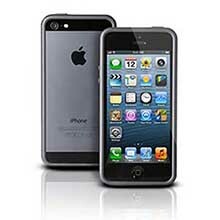 With the black iPhone 5, paint pens could be used to cover up the bright silver scratches. While this didn’t completely hide scratches, it made them less noticeable. When an iPhone 5S is scratched, the color of the scratch is close to that of the undamaged metal. Therefore, a paint pen will be of no use, much as it was with the white iPhone 5. Making scratches less visible on the iPhone 5S is tricky. If a deep nick or scratch is found on the chamfered edge of the phone, such as when the phone is dropped on concrete and lands on its edge, there will often be small burrs in the metal. Burrs are bits of metal which have been displaced and rise above the surface of the phone. They catch the light and stand out, and can also snag on clothing. If there are burrs on the edge of the phone, you can carefully file them down using a needle file. At this time, I don’t know of any other methods to make scratches appear less visible on the iPhone 5S. 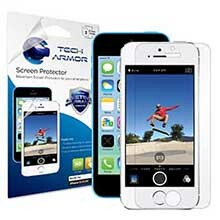 It’s every bit as important to protect the iPhone 5S as it was with the white iPhone 5. While the new Space Gray, Silver, and Gold colors won’t look nearly as bad as the iPhone 5 does with some scratches, the aluminum is still more susceptible to scratches than the stainless steel band on the iPhone 4/4S. On the plus side, there are a lot of great looking cases available for the iPhone 5S which will help prevent scratches from occurring. One great thing about owning an iPhone is that they have great resale value, and preventing scratches will help you get the most money when it comes time to upgrade and sell or trade in your old phone. If you already have an iPhone 5 case, it will fit the 5S with no issues. This case comes with a clear back to let the color of your phone show through, which is especially great with the gold 5S. 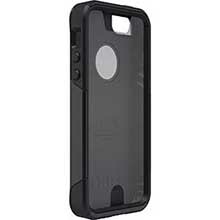 A protective bumper surrounds the edge, and is available in clear, black, and several other color options. If you’re looking for a simple solution to protect the edge of your phone, bumpers are a good choice. This leaves the back of the phone exposed so you can see the detail, while still protecting the vulnerable edges of the phone. Despite the use of Gorilla Glass, the screen of the iPhone 5S can still be scratched with everyday use. All it takes is a grain of sand in your pocket or purse to rub up against the glass. Combining a screen protector with a thin case is a great way to protect your phone without adding bulk. 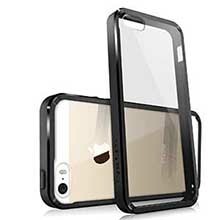 If you need a little extra drop protection, Otterbox cases protect better than the rest.